Graham studied piano, singing and conducting at the RSAMD now the Royal Conservatoire of Scotland. On graduating from the Opera School he was appointed the youngest professional MD in Britain to the newly formed Independent Opera conducting “Macbeth” and “La Boheme”. Whilst based in London his credits as a conductor and vocal coach were with D’Oyly Carte Opera and English National Opera. In 1981 he returned to Scotland to join the music staff of Scottish Ballet conducting “Swan Lake”, “Napoli” and “Romeo and Juliet” and as a part-time tutor at the RSAMD. He also worked as a vocal coach/repetiteur for Scottish Opera and conducted 16 full-scale operas for Glasgow Grand Opera. He also was Musical Director for the Scottish premiere performances of Sondheim’s “Into the Woods” at The Edinburgh Festival. He has his own company based in Glasgow, The Singers Company. As a performer he has sung professionally in opera, summer seasons, pantomime, cabaret and frequently on television and radio. In musical theatre his roles have included Arvide in “Guys and Dolls”, Curly in “Oklahoma” (Leicester Haymarket), Freddie in “My Fair Lady” and has performed in numerous revues including “Side by Side by Sondheim”. For a number of years he was the Scottish Representative for Cameron Mackintosh, a panellist for The Scottish Arts Council and has been a consultant for The Donald Dewar Arts Trust. Graham has been involved with the Dance School since 1983 and in 1998 founded and established the national Musical Theatre Course. He has directed numerous productions including Godspell, Hunchback of Notre Dame, Beauty and the Beast and The Drowsy Chaperone. 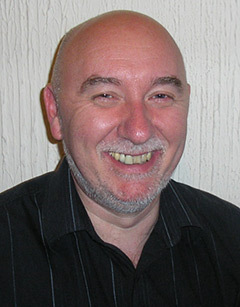 As a guest teacher his work has taken him to a number of national and international colleges of performing arts including Royal Conservatoire of Scotland, Arts Educational, Guildford School of Acting, The International School of Performing Arts in Copenhagen, The First World Children’s Festival in Japan and The McDonald College of Performing Arts in Sydney Australia. Graham is founder and director of the national Young Scottish Musical Theatre Performer of the Year Award.